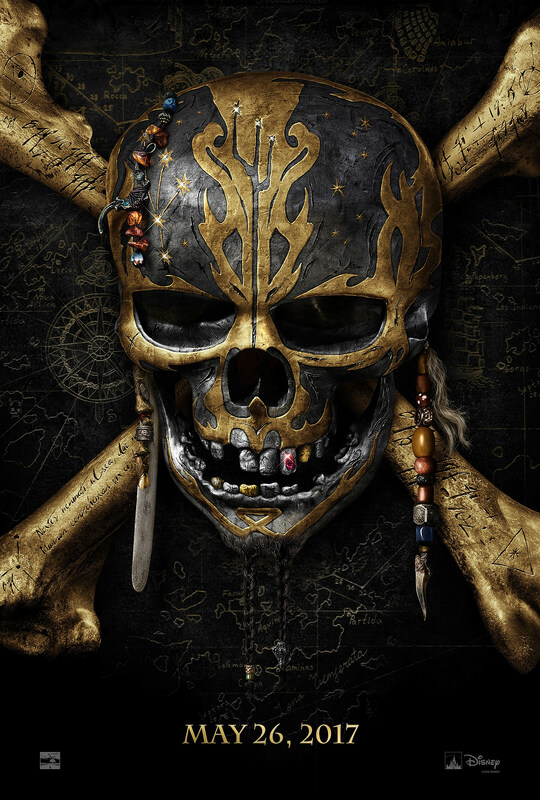 ‘Pirates of the Caribbean: Dead Men Tell No Tales’ Teaser! There’s a famous part of the Pirates of the Caribbean ride at Disneyland where an ominous voice says “Dead men tell no tales!” So I guess this is an adaptation of that line? These Pirates of the Caribbean movies are getting really granular. Dead Men Tell No Tales is the fifth film in the Pirates franchise. Though you don’t see him in this teaser, Johnny Depp is back once again as Captain Jack Sparrow, the anchor that’s linked all of the Pirates to date. You don’t see him in this trailer either but Orlando Bloom is back for Dead Men as well, after skipping the previous Pirates, On Stranger Tides. So is Geoffrey Rush’s Captain Barbossa, Jack’s perpetual adversary. The people who are in this trailer are the new characters, which is sort of a surprising choice. The weird looking, oddly polite bad guy is Captain Salazar, played by Javier Barden. The handsome young man he asks to send a message to Jack Sparrow is Henry Turner, played by Brenton Thwaites. According to Wikipedia (which is never wrong) he’s Bloom’s character’s son. As you can see, Pirates of the Caribbean: Dead Men Tell No Tales opens on May 26, 2017. I don’t know why I feel the need to reiterate that. But I do.